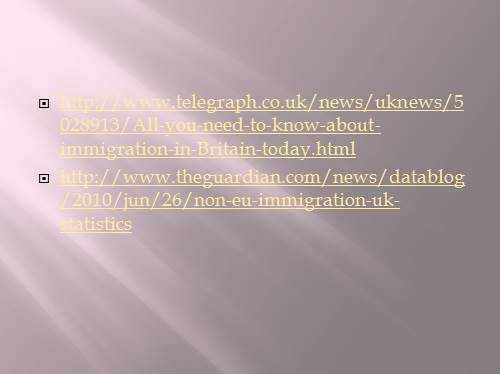 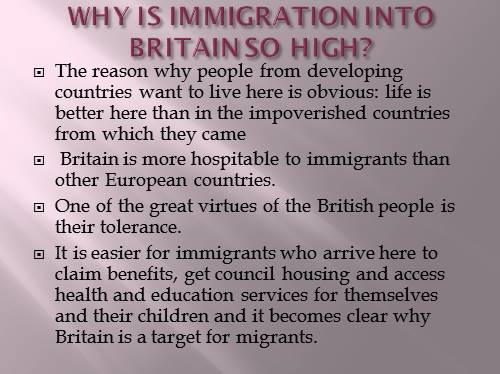 WHY IS IMMIGRATION INTO BRITAIN SO HIGH? 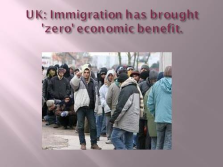 Britain is more hospitable to immigrants than other European countries. 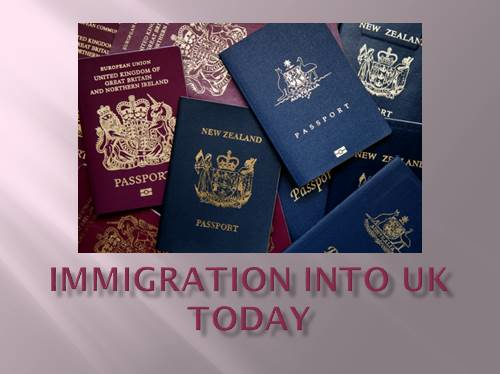 One of the great virtues of the British people is their tolerance. 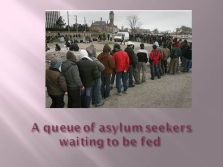 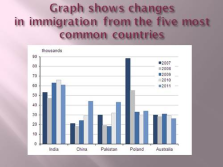 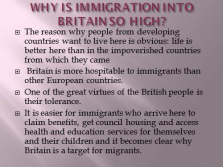 It is easier for immigrants who arrive here to claim benefits, get council housing and access health and education services for themselves and their children and it becomes clear why Britain is a target for migrants. UK: Immigration has brought ‘zero’ economic benefit. 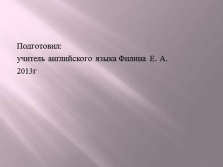 учитель английского языка Филина Е. А.